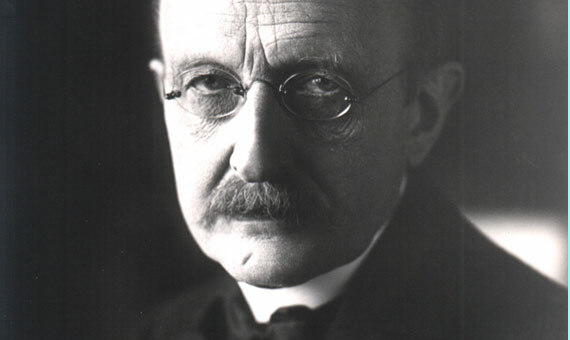 If physicists wrote history, we would now be in the second century of our era, specifically the year 116 of Planck, the German physicist who changed our view of the world when he laid the cornerstone of quantum theory in the year 1900 (of the Christian era.) And incredibly, some of his professors had recommended that he devote himself to mathematics, as physics had no future. 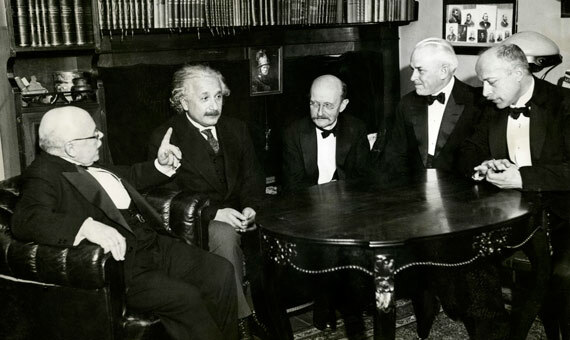 When Max Planck (1858-1947) entered university, it seemed that in the field of physics everything had already been discovered. By the end of the nineteenth century physicists understood movement, matter, energy, heat, electromagnetism and light very well when they were considered separately, but how they related to each other was less clear. For example, physicists had trouble explaining the way in which hot bodies radiate energy. Planck was a good musician. The concerts that he gave at his home in Berlin served as a peaceful meeting place for dedicated scientists, theologians, philosophers and linguists. Turning this intellectual world upside down was the furthest thing from his mind; in fact, Planck was the first to distrust his quantum theory and he tried very hard to rid himself of that tiny number (and from its revolutionary implications), which we now call Planck’s constant. But he failed and his theory changed physics forever, for which he received the Nobel Prize in 1918. Nor could he stop the Nazis, who came to power in the 1930s, from controlling and using the German Society of Science for their bellicose interests, an organization chaired by Planck. Therefore he resigned. He endured living in Germany until the end of World War II, despite losing all his scientific notes in a bombing and having his son executed, accused of plotting to assassinate Hitler. Thanks to Planck and his quantum theory, physics could now be applied to the infinitely small, but in exchange it became something beyond our imagination; an electron occupies all points of its orbit simultaneously, can jump to another orbit without passing through any intermediate point and its path is unpredictable, unlike that of a moving object, such as a bullet. At least classical physics continued to be useful for the things we can see with our own eyes. As Niels Bohr, the first to use quantum theory to describe the atom, famously said: “If none of this seems shocking to you, then you have not understood it.